The world is getting digitalized and so is every asset in it. Internet of Things (IoT) has helped the world evolve digitally and has certainly modernized healthcare. With healthcare being one of the most prioritized aspects of the global stage, it is quintessential to manage this industry with ease and versatility. The evolution of digital data records has revolutionized the field of storing medical data that has aided the healthcare industry in many ways. 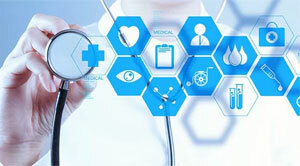 The digitalization of health care involves maintenance of EHRs (Electronic Health Records) which are generally stored in digital platforms, data centers and servers of the health care centers. These records aim at providing timely access to information to accelerate the fast recovery of patients. However, these records are vulnerable to breaches. According to a recent survey, about 72 percent of the employees are willing to share these confidential data tracks and many do not even know that this may cause security risks. It is advised to keep this data classified. Attackers often find ways to break through basic security protocols and cause an average annual loss of 6.2 billion dollars. To address this predicament, blockchains are implemented. Blockchains store data in the form of blocks and stack them one over the other cryptographically. This encrypts the data and keeps EHRs safe. When blockchains are put to use, data is retained in the decentralized network of nodes and encrypted using AES256-GCM with a 256-bit key for every 128-bit block of data. The decentralized nature of the blockchain ensures data integrity as there is no single point of failure. A shared system is employed to store data, which lets the associated stakeholders access information smoothly and without any forced digital blockage. More research is being done to prevent EHRs from being breached. With a more reliable and secure way of storing data, it is only a matter of time before EHRs become absolutely impregnable.